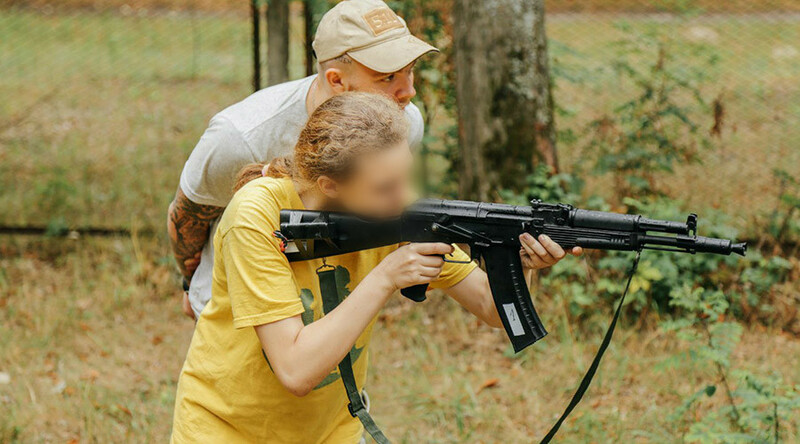 Home Editor's choice Television America NBC Channel Special Documentary Report Shows Ukraine Nazi Youth Camp, “The Hatred And To Kill Everyone Who Is Russian” All Sponsored By NATO ! While the Russian Federation expresses its confidence in the brotherhood with the Ukrainian people, these people are cultivating hatred for it. Doing it, by the way, very thoroughly – cherishing hatred for Russia not only in itself, but also in future generations. The NBC television channel has published a scary movie which was made in a children’s militarized camp near Kiev. The pastime of children includes complex studying: not only the military training of adolescents and children, but also the ideological preparation. The camp is supervised by militants of the Azov Nazi group. This sure explains a lot and gives reason to again mention the marginals. However, we should not forget that children are not sent to the “marginals” forcibly, but at the request of their parents. What levels out the notorious marginalism. In addition, the children themselves are happy to be in this place. ‘It was my decision, since last year I have wanted to come here, and now, my dream has come true,’ assures one of the students. The main tasks of children’s studies are defined. 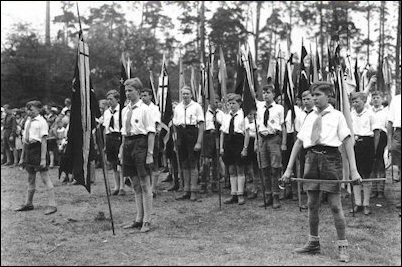 The instructors of the camp advocate hatred for Russia and the Russians as a nation, and also ‘lay the ideological foundation for future generations’. But that’s not all. The tasks of “patriotic” education include the propagation of hatred for compatriots who sympathize with Russia. ‘They are fighting against supporters of Russia. It’s not the Russian army, it’s Russian rebels, I believe, or even supporters of Russia of Ukrainian origin,’ explains journalist Spike Johnson. ‘(Their goal is) not to be Russian, because for the last 100 years, Russia oppressed (Ukraine), its borders. And, secondly, to preserve any Ukrainian identity they had and still have. So, they are between Russia and its ideology, but they also do not want to join Western Europe where liberal reforms are taking place,’ the story says. ‘What is our slogan? We are the children of Ukraine! Let Moscow lie in ruins, we don’t care! We will conquer the whole world! Death, death to the “Moscals” (Muscovites)!’ the children are shouting in the video. The priorities are also announced, ‘We must return the Crimea, and then, the Kuban (a region in Russia), and we will drive away the Moscow assholes!’. ‘When you’re a child, you have no idea of a war, today we need to explain to them what it is,’ said an instructor of the Azov battalion in an interview with NBC. Azov filth.. The dregs of humanity, along with Pravy Sektor.